There are plenty of flying schools to choose from in FLYER‘s Learn to Fly Guide, available to buy online here. They range from big companies at a busy regional airports to smaller operations based on a grass airfields. So how do you choose the right one? You’re going to be spending a lot of time at your chosen school so an important consideration is the time need to travel there and back. 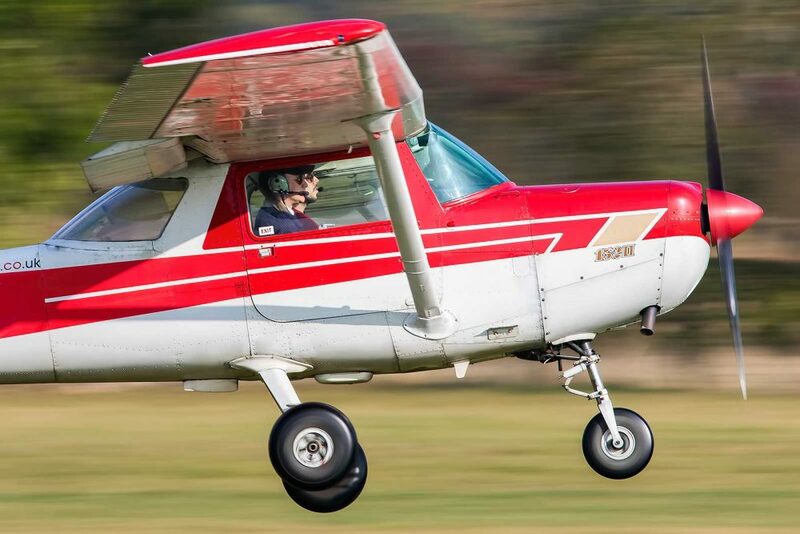 Most flying lessons last an hour or two, so add in a drive to and from the airfield of, say, an hour, and that’s half-a-day gone, which may test your resolve. Also, the UK’s weather isn’t always cooperative. There will be days when you turn up at the airfield only to find that it isn’t flying weather. Yes, you can make good use of the time by going over the theoretical knowledge books, or by practising radio calls, but you may simply end up driving home again. Some flight schools have invested in a flight simulator, which can be a good (and relatively inexpensive) way to practise such procedures as radio navigation and make use of bad weather days. A big decision is whether to train with a big school at an airport, or one based at a smaller airfield. There are pros and cons with each. The bigger airport will prepare you for the radio calls and procedures, and it’ll probably be in controlled airspace so you’ll get used to talking to air traffic control. A bigger school is also likely to have a larger number of aircraft and instructors, giving a degree of flexibility. However, such schools are usually orientated around the business of getting pilots through their training, and less likely to have a social side than, say, a club at a smaller airfield. The smaller airfield is likely to be less busy than the bigger airport, meaning that your hard-earned money will be spent in the air rather than in a queue. Spend some time at the airfield, watching aircraft come and go, so you can get an idea of the time it takes to get airborne. Of course, smaller flying schools will make use of other airfields in the area, to widen your experience. Whichever type of school you go for, be cautious of paying for too much of your training up-front. Although that will often mean a slight discount, it’s been known for flying schools to go under and students lose what they’ve paid. Your progress will be much smoother if you can take regular lessons with as short a gap between each as possible – ideally, no more than a week. Ultimately, though, learning to fly should be a lot of fun, and if you aren’t enjoying the experience, then don’t be afraid to move onto another school which might suit you better.